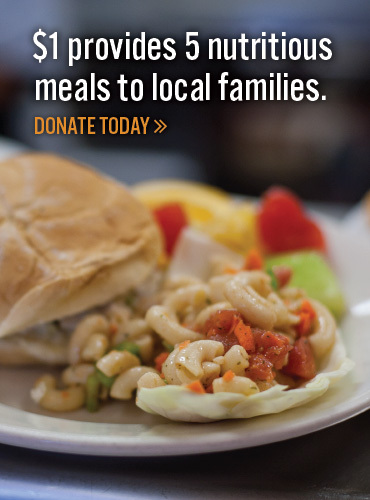 Local corporate food donors provide over 20% of food donations to Second Harvest. Donating food can be a very effective and cost-efficient solution to inventory surpluses, space and storage limitations, and waste disposal costs. Food donations are tax-deductible and donors are protected from liability through the Good Samaritan Law. If you are a food manufacturer, distributor, retailer, restaurant, farmer, or otherwise involved in the food industry, consider donating any food surpluses to Second Harvest. Second Harvest can accept fresh produce, refrigerated items, frozen foods including meats, bakery items, personal care products and bulk packaged products, as well as dry canned goods. Contact Kacy Porter at (440) 960-2265, x-307 for information and specific guidelines regarding corporate food donations or to make arrangements for transportation of donated food.